Pioneer Theatre Co., Repertory Dance Theatre, Utah Symphony and Ballet West. It's been 65 years since the United Kingdom has witnessed a coronation ceremony. It's morbid to think about, but one person's death is required before another's ascension to the throne. 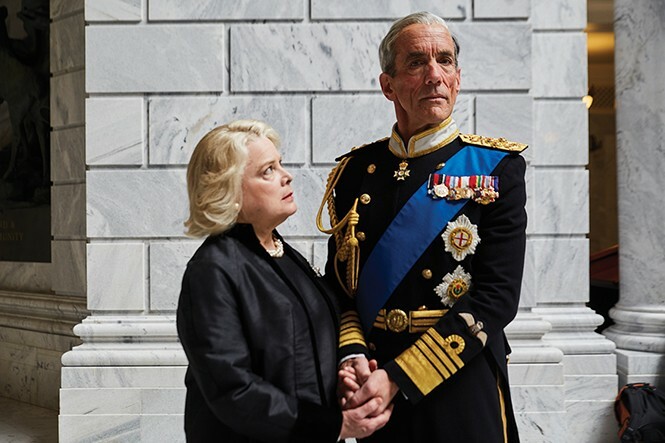 In King Charles III, presented by Pioneer Theatre Co., playwright Mike Bartlett explores the volatile what-ifs following Queen Elizabeth II's death. The power struggle is felt immediately after the queen dies, and Prince Charles (John Hutton) becomes head of state as King Charles III. The prime minister (Larry Bull) insists Charles sign several bills that will soon become law—including one limiting the free press. Charles fundamentally disagrees with the bill and refuses to sign, setting off a series of events that pit the monarchy against British Parliament. Stuck in the middle are Prince William (Grant Goodman) and wife Katherine (Samantha Eggers), who want Charles to continue with tradition, while Prince Harry (John Ford-Dunker) finds love in Jess (Jess Nahikian), an anti-monarch "commoner" who's haunted by her past. The clash of traditionalists and progressives comes to a head prior to the king's coronation. Both contemporary and historical, a personal story and universal narrative, Repertory Dance Theatre's production of Zvi Gotheiner's Dabke invites audiences to become immersed in a journey that can't be replicated anywhere else. The title of this nearly hour-long, no-intermision piece comes from a Levantine folk dance, originating in a Middle Eastern region that includes Jordan, Lebanon, Palestine and Syria. Gotheiner was inspired to create his take on the dance following 2011's Arab Spring, where democratic uprisings took place throughout the Middle East and northern Africa, and because he personally is connected to these Arab countries. A northern Israeli by birth, Gotheiner feels the traditions in those regions deeply influenced his own culture. "He really wanted to loan whatever artistic voice he had to document that feeling of optimism, and also wanted to do what he could to initiate some sort of healing," says Linda Smith, executive and artistic director of Repertory Dance Theatre. For those of a certain generation, Russian composer Modest Mussorgsky's most famous piano composition, Pictures at an Exhibition, is better known as an early live recording by the British supergroup Emerson Lake and Palmer. That said, classical aficionados are likely familiar with the interpretation by composer Maurice Ravel, who made the 10-part suite a favorite among discriminating audiences in the early part of the 20th century. Indeed, portions of Mussorgsky's work were among the first compositions chosen for recording by the budding Columbia Records label nearly 100 years ago—predating ELP by half a century. It could also be claimed that the work prefigured the concept of combining sights and sounds, an innovation generally credited to MTV. Of course, video hadn't been invented back then, so Mussorgsky took his inspiration from the paintings and drawings of a friend: artist and architect Viktor Hartmann. 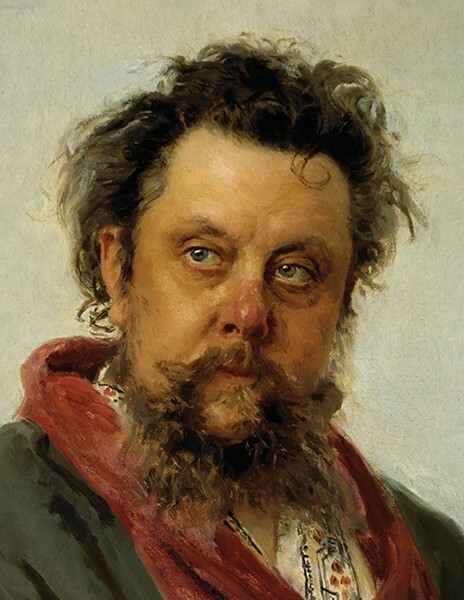 However, despite that initial impetus, Mussorgsky's music wasn't published until a dozen years after it was completed, and a full five years after his death. It took another five years before the work received its first public performance. There are few topics artists have explored as thoroughly as humanity's complicated contemplation of its own existence. It's a topic that has no single answer, but exploring it has the satisfying result of pushing people to reflect on themselves and their lives. With their upcoming Journeys and Reflections, Ballet West joins this centuries-long tradition. CEO and Artistic Director Adam Sklute says the three 30-minute performances explore both how humanity sees itself in the world, and ballet as a diverse art form. "The three works together created this through-line about humanity," he says, "and all of the different realms of humanity, from the Elysian Fields of Heaven to a very earthy and elegant way of people interacting to the ravages of war." The night begins with "Chaconne," an upbeat and joyful piece that uses the imagery of the Elysian Fields—the ancient Greek equivalent of heaven—to invite the audience to contemplate paradise. Next is "Facades," created by Utah native Garret Smith that focuses on self-reflection. The final piece delves into the German Expressionist movement with Kurt Jooss' "The Green Table." Created in 1932 Germany, just one year before Hitler rose to power, the piece looks at the futility of war and the products of failed diplomacy.